WEX Australia in the Community | WEX Inc.
A core value for the global WEX family is to strive to be a positive force in our world. WEXers around the world give back to their local communities in an astonishing number of ways. At WEX Australia, the giving back committee works to hold a charity or volunteer event each month to support local organizations. Recently, WEXers in our Melbourne office tapped into our volunteer paid time off program to spend the day helping out at St Kilda Mums. 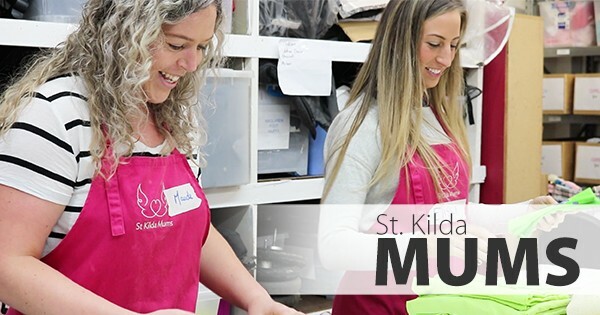 St. Kilda Mums is a Melbourne-based charity that rehomes new and “pre-loved” baby goods and nursery equipment to families in need. The WEX Australia team spent the day sorting through baby clothing and accessories, grouping them according to gender and age, as well as cleaning car seats, prams and other items. Everything was then packaged and stored for distribution to local families. Find out more about our commitment to social responsibility and visit our career page to learn about WEX employee benefits, like paid volunteer time off, that are part of our global corporate culture.